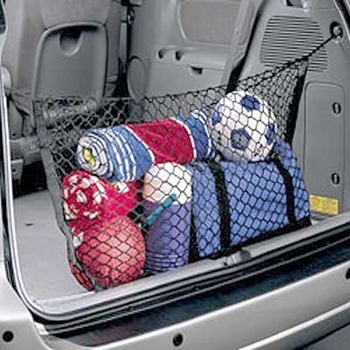 With this Toyota Sienna interior cargo net you now have additional storage for most anything. This Toyota Sienna interior cargo net will give you instant storage space for all those favorite things. You can enhance your cargo area with the addition of this Toyota Sienna interior cargo net. You can be assured a quality fit with this Toyota Sienna factory cargo interior net.